Five member delegation from Gorkha Janmukti Morcha (GJM) will raise their demands in all-party meeting which is convened by West Bengal Chief Minister Mamta Banerjee on Gorkhaland Darjeeling issue. Demand of separate Gorkhaland state during negotiations is anticipated. GJM Join Secretary Binay Tamang said Delegation led by him will attend the meeting and raise demand for creation of Gorkhaland. Meanwhile Communist party CPI-M state unit is in favor of tri-partite meeting between “the hill parties”, state government and the central government. Whereas BJP state president Diip Ghosh expressed hope for a positive outcome of the meeting and assured Central Government and BJP is prepared to help. Normal life has been paralysed in the hills covering large areas in Darjeeling and Kalimpong districts following the indefinite shutdown called by the GJM since June 12 on the statehood demand. 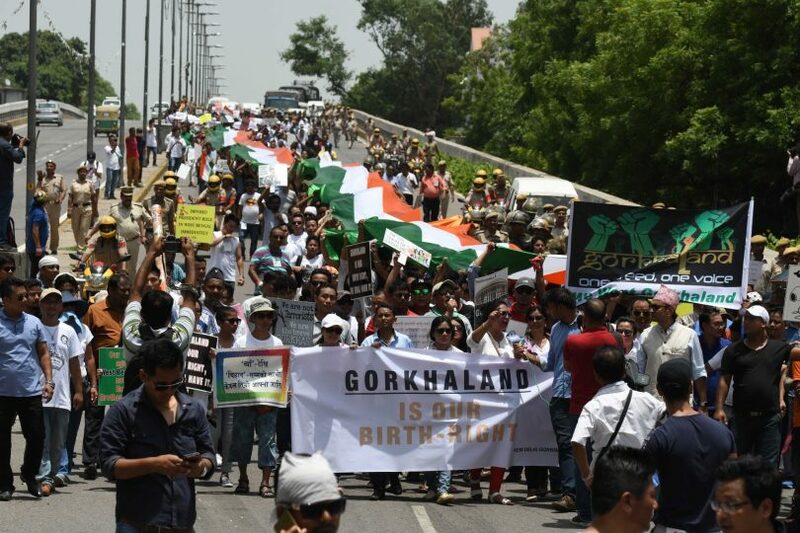 The Gorkhaland Movement Co-ordination Committee(GMCC) formed later to broadbase the movement by roping in other parties, has also backed the stir which has greatly impacted the hills’ three economic mainstays — tea, timber and tourism. West Bengal Chief Minister Mamata Banerjee on Tuesday announced that the state government would hold talks with “all major political parties” on August 29.